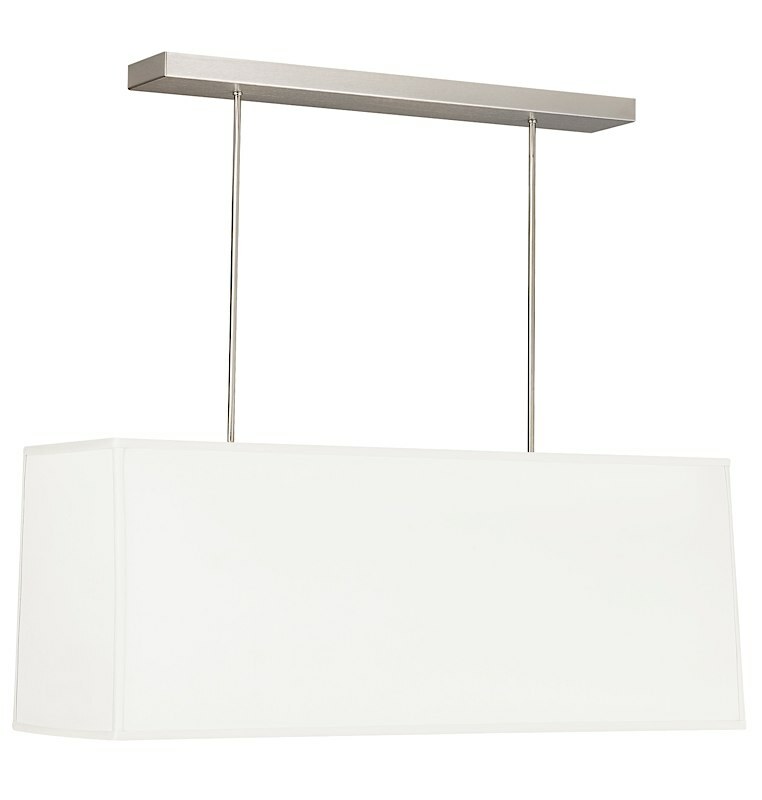 The Mercer Linear Pendant has a chic and sophisticated look. It's rectangular lines, tapered fabric shade and suspension by rigid stems makes this an ideal piece to hang over a table. An acrylic diffuser helps to provide glare free light. There are three lengths offered with either satin nickel or antique bronze finish. Please select lamping: incandescent and fluorescent. Incandescent includes four 100W bulbs; fluorescent includes four 27W bulbs. Incandescent version dimmable with standard incandescent dimmer (not included).